High Functioning Autism – Kathy J. Marshack, Ph.D.
TELECONFERENCE: Why Do I Feel So Disoriented? A free International Support Group facilitated by Dr. Marshack. This teleconference is only for Members of the Meetup group, Asperger Syndrome: Partners & Family of Adults with ASD. 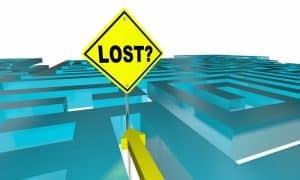 Topic: Why do I feel so disoriented? There’s a lot packed into this question. Dealing day in and day out with the stresses of living with an Aspie, and/or raising children on the Spectrum (and other variations on this theme) can leave us not just emotionally drained, but can also affect our mental health. Do you feel confused? Do you forget things more easily than you used to? Do others think you are always rattled? Are you irritable or prone to cry easily? Are you gaining weight or losing it when you really shouldn’t? Can’t sleep? Prone to accidents? Unexplained aches and pains? Think about it. 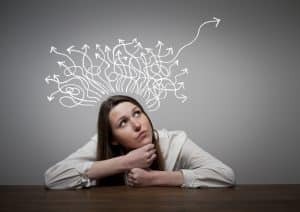 Your brain is affected physiologically by chronic stress, no differently than your digestive system, or your heart, or other important body systems. This chronic stress leads to chemical imbalances in the brain, among others disorders. In turn this leads to that feeling of disorientation. Let’s crack open this tough subject and learn ways to take back your life and get your brain back on line. VIDEO CONFERENCE; Ghosted by Asperger Syndrome. (For more advanced or experienced members). 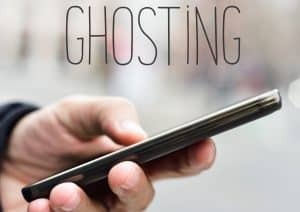 Have you heard of the term “Ghosting,” or “Ghosted”? It’s new in the vernacular and means that someone has cut you off without a trace, as if you never existed before. There is no response to your phone calls, texts, or emails. You may even be cut off from contact through social media. It can also mean that you have done the Ghosting. I am intrigued by this concept since psychologists refer to Ghosting as a “cruel form of emotional abuse.” It is remarkably similar to how we can feel with our ASD loved ones. Cut off, invisible, no communication, uncared for. It’s also true that our Aspie’s feel Ghosted because they live a life with so little understanding of their condition. Even though we are there to love them and carry them through difficult social situations, they can still feel alone too. And then Ghost us without fully understanding who they are hurting. Let’s take this opportunity to look at the painful topic. Can we find methods to break through this destructive pattern? VIDEO CONFERENCE; Ghosted by Asperger Syndrome. (For our advanced or more seasoned members). Have you heard of the term “Ghosting,” or “Ghosted”? It’s new in the vernacular and means that someone has cut you off without a trace, as if you never existed before. There is no response to your phone calls, texts, or emails. You may even be cut off from contact through social media. It can also mean that you have done the Ghosting. I am intrigued by this concept since psychologists refer to Ghosting as a “cruel form of emotional abuse.” It is remarkably similar to how we can feel with our ASD loved ones. Cut off, invisible, no communication, uncared for. It’s also true that our Aspie’s feel Ghosted because they live a life with so little understanding of their condition. Even though we are there to love them and carry them through difficult social situations, they can still feel alone too. And then Ghost us without fully understanding who they are hurting. Let’s take this opportunity to look at the painful topic. Can we find methods to break through this destructive pattern?